After successfully hosting the World Cup and the Olympics in Rio in recent years, the Latin American spotlight was on Brazil for almost half a decade and a visit to this continent sized country will almost certainly leave you wanting to go back for more. Rio de Janeiro is one of the main gateways to the country, and is one of a handful of cities in Latin America which really shouldn't be missed. 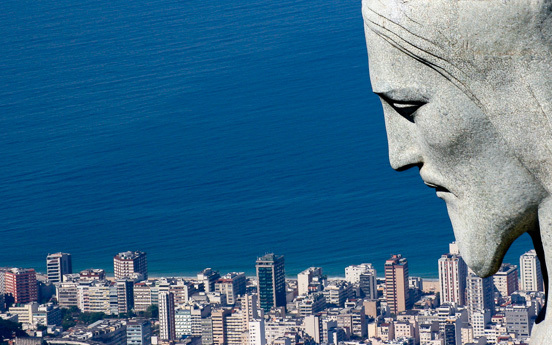 The iconic statue of Christ the Redeemer towers over the city, looking out over Copacabana Beach and Sugar Loaf Mountain, and all the different bays, beaches and islands give Rio one of the most beautiful settings of any city in the world. From Rio, the options of where to go onto are endless. 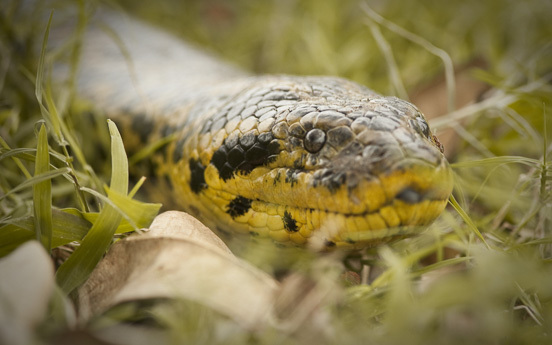 Wildlife enthusiasts will doubt look to the Pantanal and the Amazon. In the Pantanal, the largest inland delta in the world, guests can head out on safari by boat, on foot, by car or on horseback, to explore the vast array of flora and fauna, which includes the elusive jaguar, pumas, crocodiles and capybaras, not to mention almost 700 bird species. Up in the Amazon, this time the largest rainforest in the world, one can explore the wonders of the forest and its indigenous communities by day and by night, from the comfort of a rainforest lodge or by private yacht. 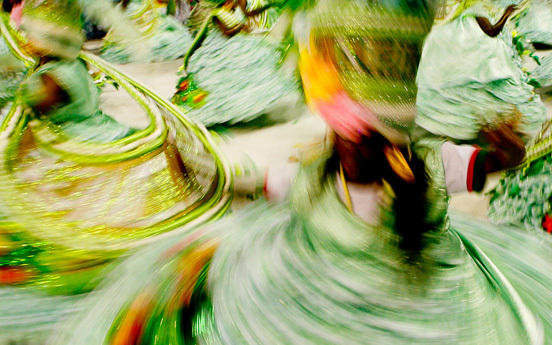 If you are in search of something more cultural, Salvador, the capital of Bahia, is widely acknowledged as Brazil’s cultural capital and the country’s rich Afro-Brazilian heritage is evident everywhere, from Capoeira martial arts displays to delicious local cuisine. To the south of Bahia, Minas Gerais was an important state in Brazil’s 18th Century gold rush. Today, visitors can explore its beautiful cobbled streets and stunning architecture of Ouro Preto and Tiradentes, home to some of the finest churches ever built in Latin America. And then there are the beaches. Even if this isn’t the main reason you have come to Brazil, the country is blessed with thousands of miles of beautiful Atlantic coastline and there is a reason why the vast majority of the population lives near the coast. 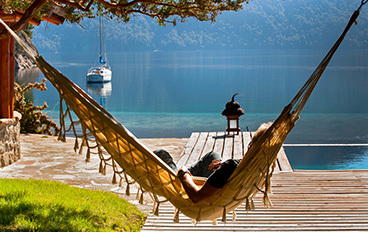 So whether it is a chic boutique hotel on an exclusive beach or somewhere more low-key near a quaint fishing village, we can recommend the right place for you. Arrive in Sao Paulo and spend your first night at the stylish Fasano Hotel in Sao Paulo’s Jardins neighbourhood. Modern and sophisticated in style, the Fasano is one of Brazil’s leading hotel groups. 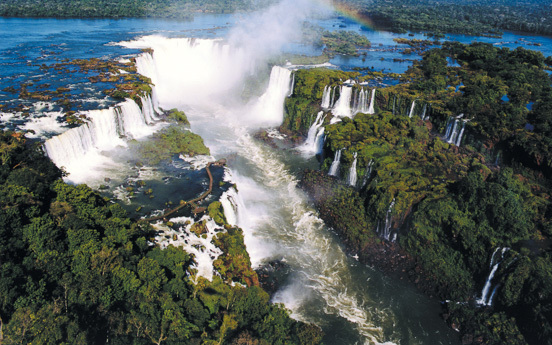 Fly to the Iguazu Falls and explore this magnificent site from both the Brazilian Argentine sides of the border. Das Cataratas Hotel, located right inside the National Park, enjoys a coveted location right in front of the Falls, giving guests unparalleled access to the site at all hours, long after the day trippers have left. Take an exhilarating boat ride to the base of the falls or hop in a helicopter for a bird’s eye view during the day. For those lucky enough to be there for a full moon, don’t miss the hotel’s exclusive walking tour where you can witness the rare spectacle of a lunar rainbow. 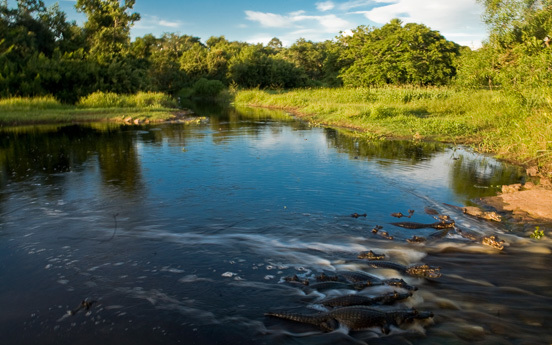 Travel inland to Brazil’s interior and spend the next 4 nights exploring the Pantanal. Caiman Lodge, the most comfortable of all the lodges in the Pantanal, will be your base as you explore the regions rich wildlife on foot, by boat or by Jeep. There are also night and photographic safaris available at the lodge as well as mountain bikes for you to use. 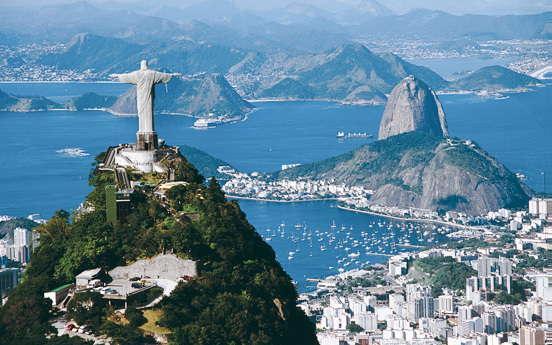 No trip to Brazil is complete without a short stay in the enthralling city of Rio de Janeiro. The iconic Copacabana Palace is right on the beach and is the perfect place from which to see all the sights and sit back and watch daily life go by. 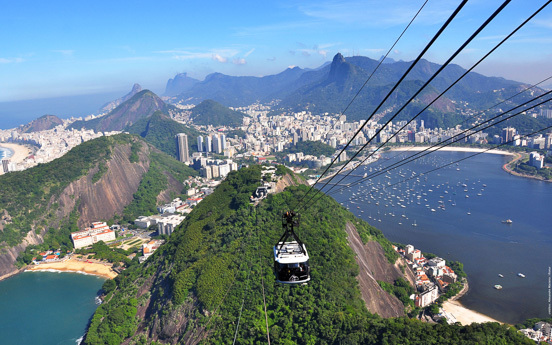 Head up Corcovado Mountain to see the enormous statue of Christ the Redeemer and take the cable cart to Sugar Loaf Mountain as part of your city tour.